The Prime Minister, Tshering Tobgay has sought an opinion of a legal team to establish whether the law permits the executive body to direct an investigation regarding the letter addressed to him by a freelance journalist, Namgay Zam. The journalist, in her letter, is seeking investigation into the actions of the country’s Chief Justice. The letter accused the Chief Justice of pre-judging. It stated the Chief Justice expressed his legal opinion on an on-going defamation case involving the journalist. As per the letter, the Chief Justice did so in a gathering of judges where the presiding judge of the defamation case was also present. The letter also mentioned three other incidents accusing the Chief Justice of violating his constitutional duty and lacking judicial integrity. The Prime Minister said the laws provide clear separation of powers between the executive, legislative and the judiciary, and checks and balances are in place. He said it is up to the judiciary on how the judiciary conducts its affairs. Prime Minister Tshering Tobgay said although there is a provision to impeach heads of constitutional bodies in the Constitution, the letter does not seek such. The Prime Minister added the laws should be followed to look at available checks and balances to address a citizen’s concern. Copies of the letter have also been sent to Members of the Parliament including the Speaker and Chairperson, last week. 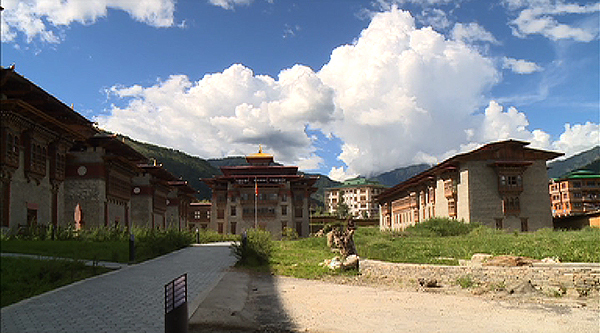 Prime Minister Tshering Tobgay said it is up to them to decide on the matter.